In our case study series we talk to world class experts using WPZOOM themes to level up their businesses. In 2016 we talked to some brilliant creatives and we’re kicking off 2017 in a similar vain, in conversation with marketing and web agency Third & Public. We came across Third & Public after seeing their work with our Inspiro theme and the stunning photography of international, multi-award winning photographer Craig Parry. 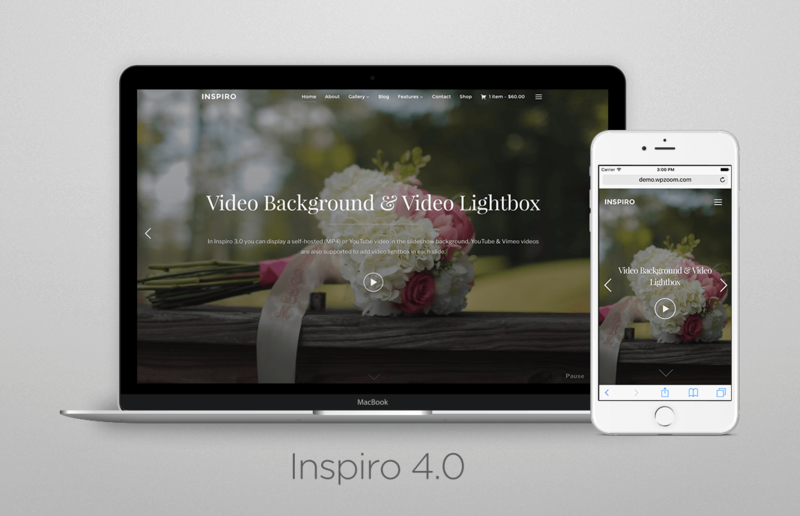 Craig Parry’s homepage, featuring the full-width slider featured with Inspiro. Craig’s work has been featured in National Geographic, Sony, Wired, Gizmodo. He’s truly a world class photographer. How do you get clients like Craig? 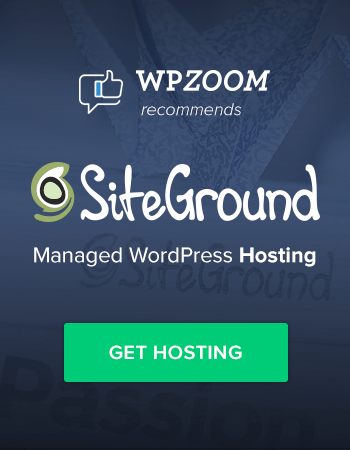 How can you use WPZOOM’s themes to help? We sat down over Skype with Third & Public’s Founder and Marketing Consultant Clare Southwell to talk about her agency’s story and work. 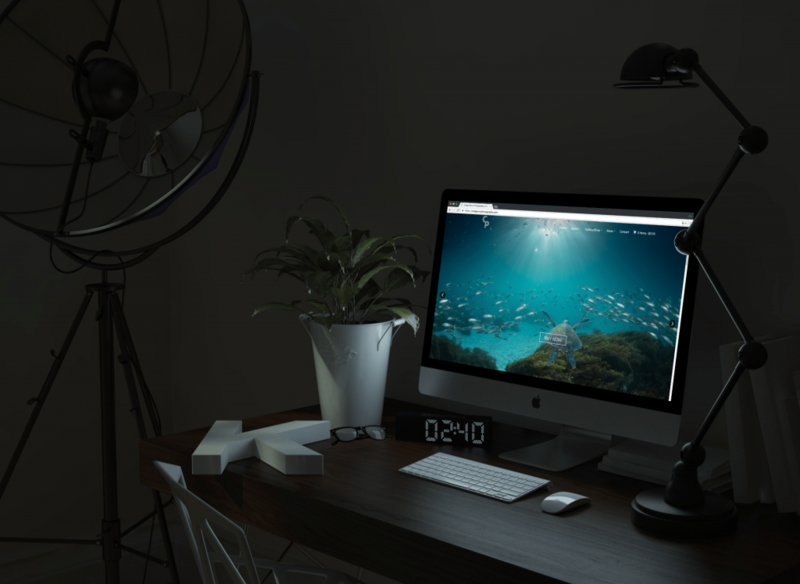 Before we start, did you see the latest update to Inspiro? The theme now comes with multiple pre-built demo layouts and drag and drop page builder support. Check it out! Here are some of the layouts you can build with the updated theme. WPZ: How did you get started? What’s your story? Clare: Where to start? It’s quite a long story but I’ll give you the short version. Originally from the UK, we emigrated to Australia in 2012 and set up our small Marketing and Web Design Agency, Third & Public. We may be small but our goal is to make an enormous impact for our clients every time. We bring our 15 year’s experience and perfectionist traits to every project we work on. Third and Public‘s recently redesigned website. We’re lucky to be based in beautiful Byron Bay, but we work with clients throughout Australia and right across the globe, as far as our home country, England. The most important part of our story is that we are really passionate about working with Inspiring, Creative and Ethical businesses and helping them further their impact. It enables us to be part of something much bigger than just business. WPZ: Third and Public works a lot with startups, non-profits and ethical businesses. How does this sense of social/corporate responsibility work its way into your business? Clare: Corporate responsibility, honesty and integrity are a very important part of our business. It’s what excites us about coming into the office every day, especially on the more challenging days (we all have them). I guess it’s our ‘why’ we do what we do. Back in the UK I worked with a lot of cause-related businesses and social enterprises, and at Third & Public we wanted to carry this experience and ethos over. 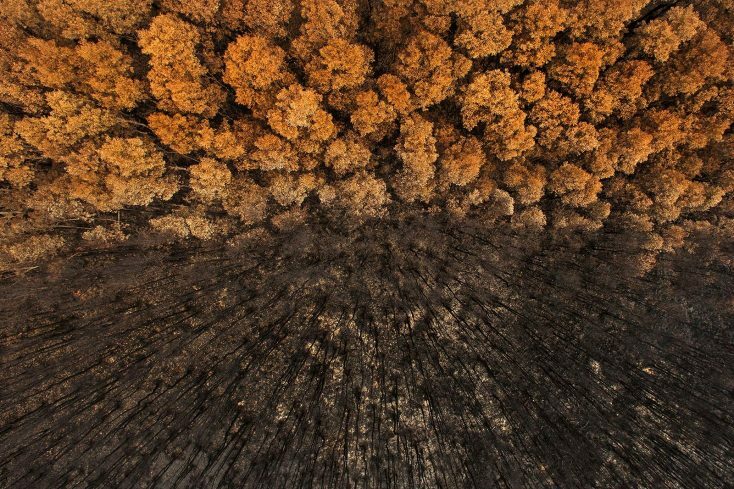 “Life and Death”, Craig Parry’s 2014 International Landscape photograph of the year. WPZ: We were amazed by the quality of Craig Parry’s work and website (using Inspiro). How did you end up working with him? Clare: Craig is from our beautiful home region of Byron Bay. 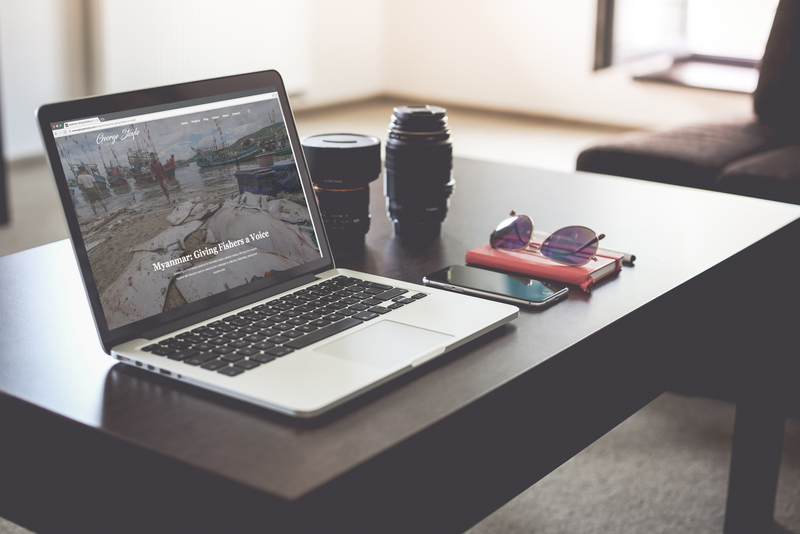 We’d met on mutual projects previously, and when he decided it was time for a new website, he approached us to see if we could help. We were really excited to work with such a talented photographer. 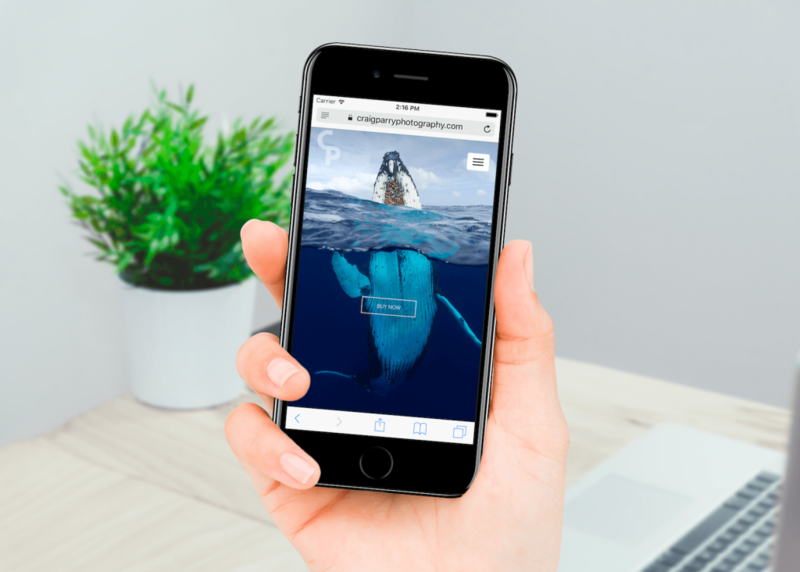 Craig has worked with the likes of National Geographic and Discovery Channel and has won numerous International Accolades, so we knew the website had to reflect his work with real presence. WPZ: Why did you choose Inspiro? What were some of the advantages and benefits? Clare: We offered Craig a short-list of potential themes and Inspiro was without a doubt our preferred option. It instantly made an impact, just like Craig’s images. 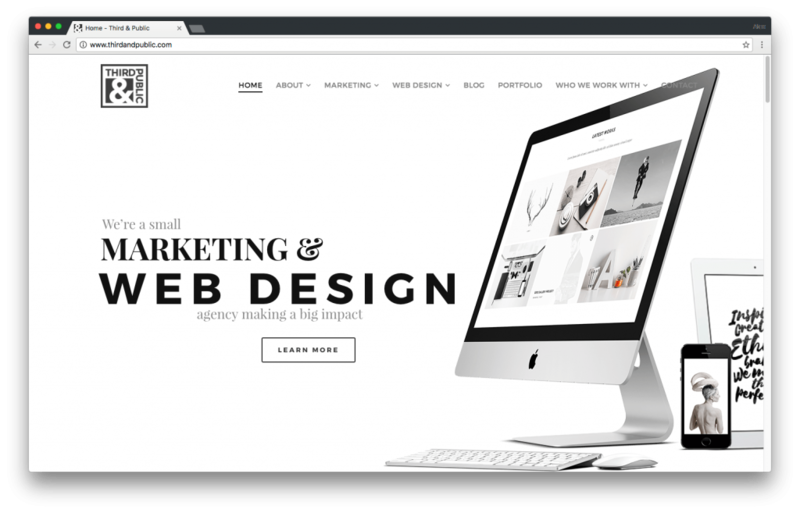 Craig wanted a website that was powerful and inspiring and Inspiro offered just that. We were able to tie together his awe-inspiring imagery with the theme to produce a site that’s really spectacular and does his work justice. Starting with a such great theme helped us to speed up our work and deliver an outstanding website that Craig was really happy with. A website that he was also able to edit with ease in future. 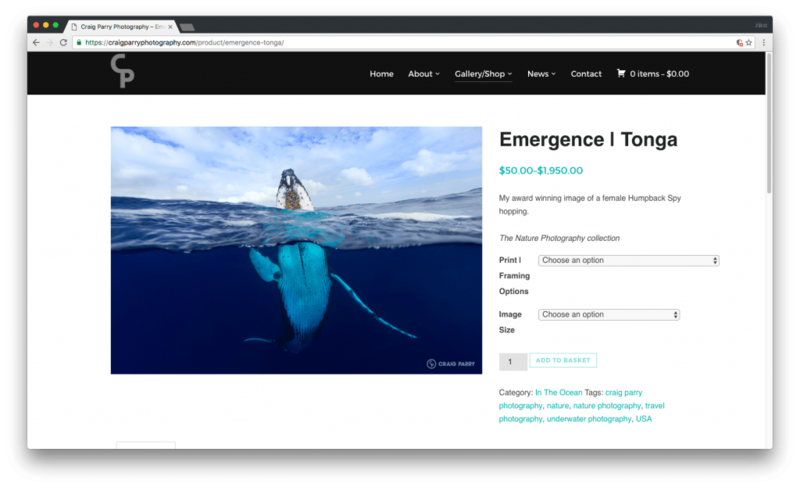 Craig’s award-winning image “Emergence”, is one of the photos available for purchase on his site, making use of Inspiro’s WooCommerce integration. WPZ: What’s the reaction been to the project? Clare: The reaction has been superb! It’s a testament to Craig’s exceptional photography. As an Agency it has generated so may enquiries, particularly from other photographers. We recently worked with Instagram sensation Hannah Argyle who is also a well known photographer. We get so excited when we are approached by such creative people. Craig’s site has been a great showcase of the work we do. One of our mottos in the office is to ensure our work is awesome and never average. And this website helped us to really get that message out there to a lot of people. Inspiro’s responsive design means Craig’s website can be viewed on the go, anywhere. WPZ: What advice would you give to other small agencies? Clare: I guess making sure you have a great theme is the most critical starting point. 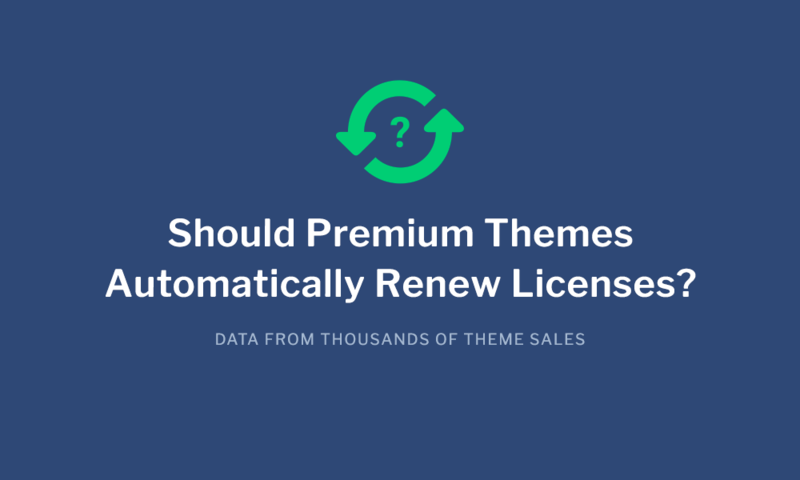 There are free themes out there and also themes that just don’t work that well. Find a great theme that will reflect your clients brand and ensure it functions in the way you need it to. We spend a lot of time with this stage of the project and I think that is what sometimes gives us an edge over agencies who use the same dull themes over and over again to make a quick buck. But I guess more than anything, do a great job. Test it, make sure you feel 100% happy with it. Every website you produce is a reflection of your own brand, so make sure it speaks volumes about who you are and the standards you set. It’s fantastic to hear of an agency being able to do such great work with ethical foundations through using a WPZOOM theme. You can see more from Clare and Third & Public on their website or by keeping up on Facebook or Instagram. If you’ve done great work with a WPZOOM theme let us know and we’d love to talk to you for a case study.